In 2012, I called John Hall, the founder of Goose Island Beer Co. I told him about an idea that had struck me one night, in the dark, as I tried to fall asleep. I nursed the idea for weeks — it might even have been months — unsure if I was ready to follow through on the spark. Now, I was, and I told John: the Goose Island story could make for a good book. Less than a year earlier, John had sold the company he founded in 1988 — when there were fewer than 200 breweries in the U.S. — to Anheuser-Busch InBev, the world's largest beer company. Goose Island was still finding its way as part of ABI. ABI was still finding its way as part of American craft beer. ABI found its way. After Goose Island, the global conglomerate spent the next six years scooping up nine more American craft breweries, executing an M&A strategy that upended the nation's craft beer landscape. As the first acquisition, Goose Island was the star, leading ABI's American craft portfolio both nationally and abroad. Goose Island wound up telling a story far broader than its own. It was the story of American craft beer, navigating growth, innovation, struggle and such wild success that it became the stuff of big business. Big Beer had no choice but to buy its way in — starting with Goose Island. After six years of research, interviews, false starts, ripped up drafts and chapters left on the cutting room floor, I'm thrilled to tell that story. 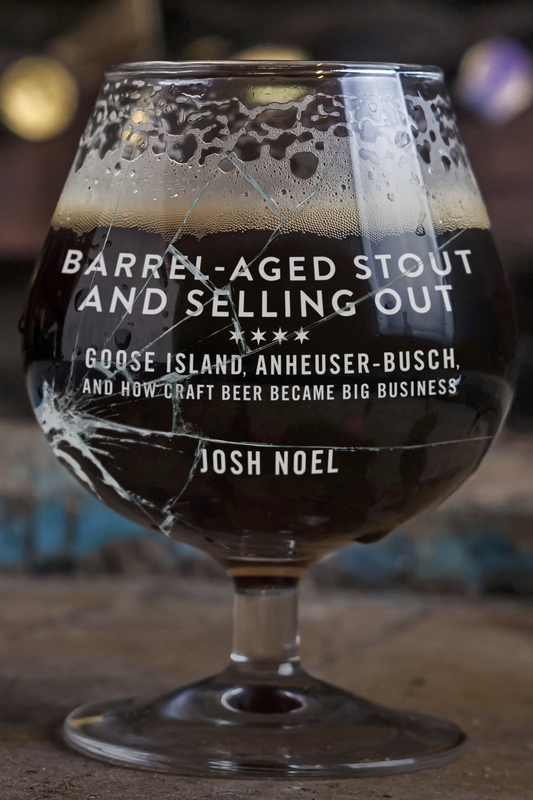 "Barrel-Aged Stout and Selling Out: Goose Island, Anheuser-Busch and How Craft Beer Became Big Business" is out now from Chicago Review Press.